Skilled trade jobs are in high demand, and the need for new truck drivers in the trucking industry continues to rise. To help meet the growing demand for new truck drivers, Diesel Driving Academy has partnered with the Department of Community Development, the Bureau of Workforce Development, and the WIOA Youth Program for a Pre-Apprenticeship Truck Driving Program. This program allows anyone aged 21-24 years old to enroll in CDL training at Diesel Driving Academy in order to obtain a CDL (Commercial Drivers License). This program includes a 1 year apprenticeship with Schneider Trucking. Drivers will be paid $9 per hour during training, for a total of 95 clock hours. This program is open to anyone between the ages of 21-24. To qualify, potential students must have a clean driving record, a clean criminal record, and must be able to pass a drug test as well as the DOT physical. Truck driving is one of the best trade jobs you can get, but it takes special know-how. You’ll need a commercial driver’s license (CDL) and specialized training. 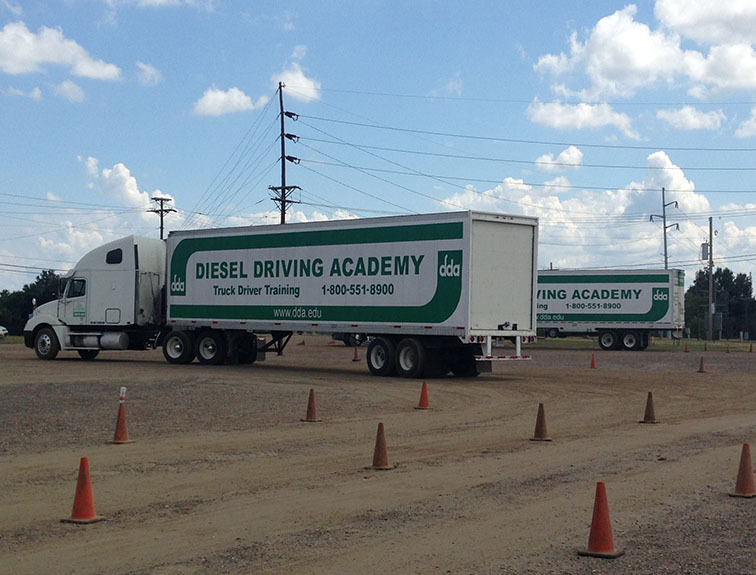 Diesel Driving Academy has been training new truck drivers since 1972. Our CDL training is continually updated to meet industry standards and is designed to provide new drivers with the skills and endorsements companies want. Wages and benefits for truck drivers are increasing; entry-level drivers can earn up to $50,000 in the first year of driving. And, companies like Schneider are offering new drivers improved benefits like more home time and updated equipment. This Pre-Apprenticeship program introduces students to the trucking industry while preparing them for a wide range of job opportunities as a truck driver. CDL training for this program begins on April 15, 2019, and will run through June 30, 2019. For more information, please contact the Department of Community Development’s Bureau of Workforce Development WIOA Youth Program’s Youth Coordinator, Penny Butler, at (318) 673-7567 or Youth Counselor, Shaquavia Durden at (318) 673-7544, or Diesel Driving Academy at 1-800-551-8900.